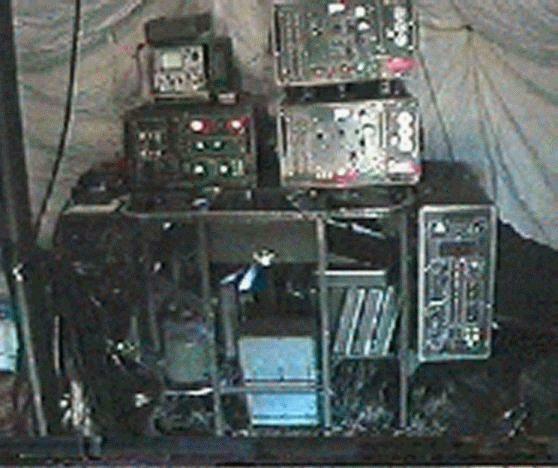 The beacon-transponder set, AN/TRN-26 is a portable, dual channel tactical air navigation system (TACAN) designed for use at remote landing strips. The TACAN system provides radio navigation information (bearing, identification and distance) to as many as 100 aircraft simultaneously. Dual monitoring equipment provides a continuous check of all TACAN parameters and initiates visual and audio alarms if failures occur. 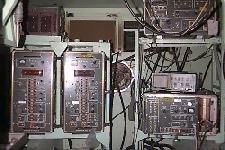 Transponder transfer or shutdown is initiated automatically upon detection of a parameter failure. A remote indicator, located up to three miles away, can also be used to provide the user with an up-to-date status of the TACAN equipment. The TACAN equipment can be tuned to any one of the 126 X-band channels (962-1024 MHz transmit) (1151-1213 MHz receive). The identification function is a toggle switch selected, four character, morse code system. The TACAN has an acquisition range (lock-on) of 35 nautical miles at 1500 ft altitude above unobstructed flat terrain, and a reception range of 100 nautical miles (minimum). Associated monitoring equipment provides a continuous check of all significant TACAN parameters, and shuts itself down whenever a fault occurs. Due to the UHF carrier, the transmitted information is limited to line of site usage only. Maximum radiated power out is 400 watts. 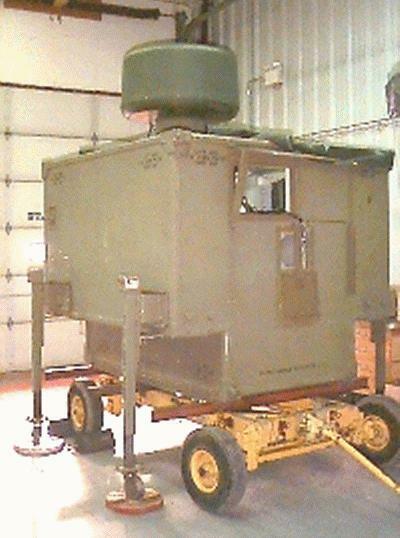 The AN/TRN-26 is normally housed in an S-250 shelter which has a volume of 294 cu ft and a combined weight of 2770 lbs. If required, the TACAN can be broken down to either single channel configuration with a weight of 750 lbs or to minimum configuration with a weight of 430 lbs. All assigned maintenance personnel should have the TACAN operational within 4 hours. 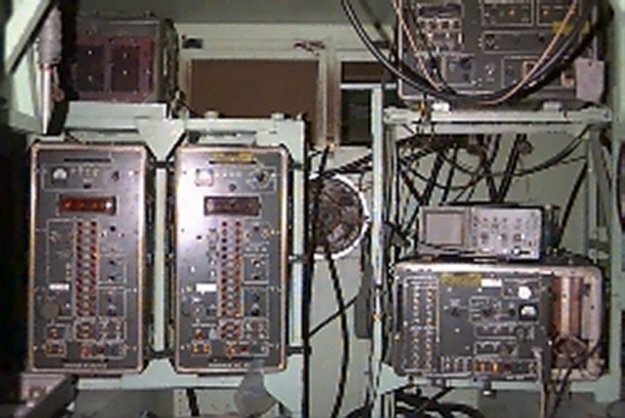 At least one integral monitor and either primary or backup, with at least 360W output power and identification must be operational before the TACAN can be declared operational. The unit requires flight inspection to become certified for IFR use. The TACAN system requires 28 VDC for operation; however, by using the AC/DC power supply, it can be powered by 120 VAC, 20 AMP commercial power or a 3 kW, 120 VAC Chryco generator. The equipment can be placed on a pallet and transported, or jack-lifted onto a one ton truck and thus transported.